Welcome to Three Rivers Community Choir. Next Performance: Summer concert at St Georges Church, Andover Road, on Sat 6th July 2019. Tickets can be obtained during rehearsals or online from www.wegottickets.com/event/468370 (Click link). See more about us, rehearsal venues, dates, contact details and downloads on other pages using the links above. 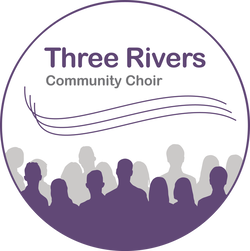 Donate to Three Rivers Community Choir for free by using Easy Fundraising. Just go to https://www.easyfundraising.org.uk/causes/threeriverschoir/ and click on 'Support this Cause' to register TRCC as your preferred 'Cause' and then simply go to the Easy Fundraising site before doing any online shopping. TRCC will get a % of each purchase and it won't cost you a penny.